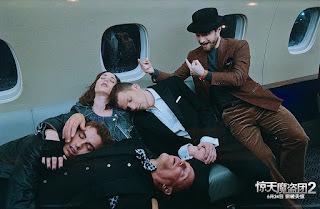 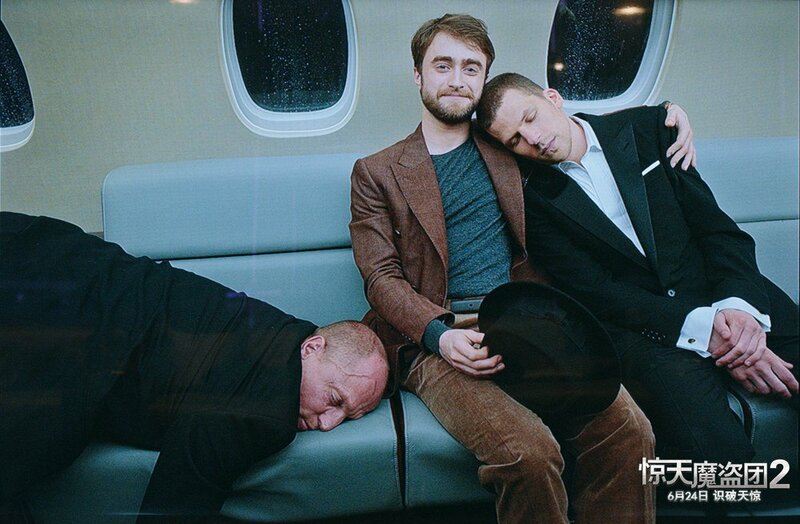 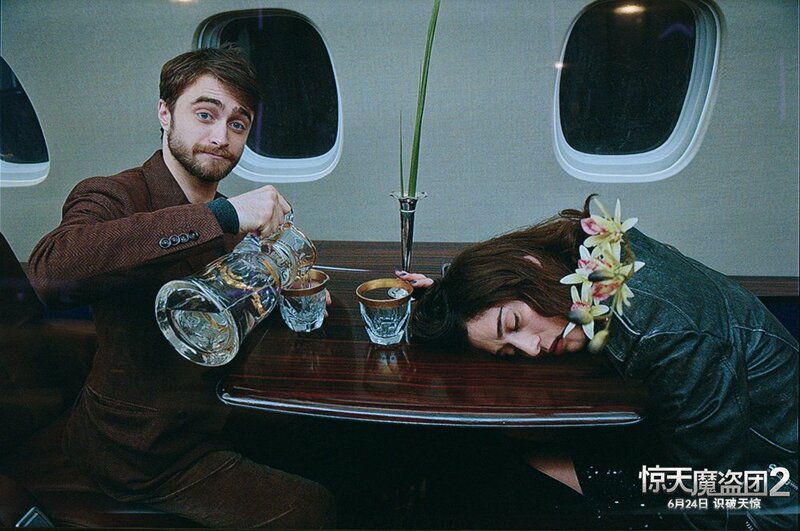 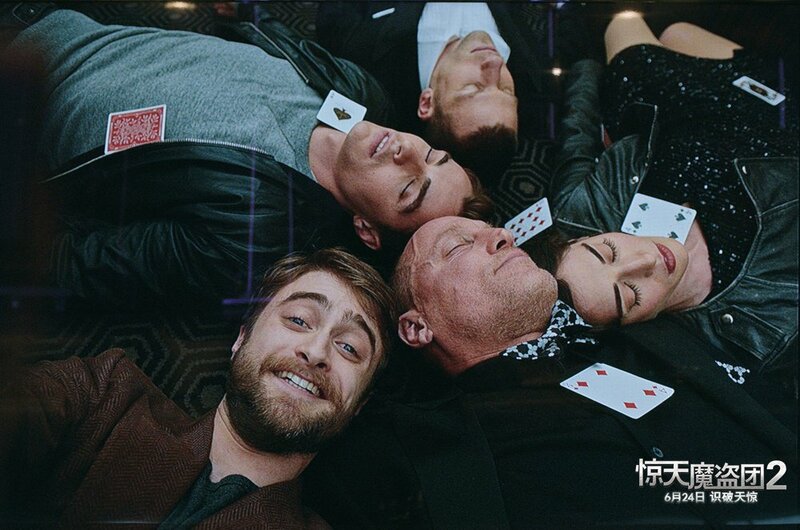 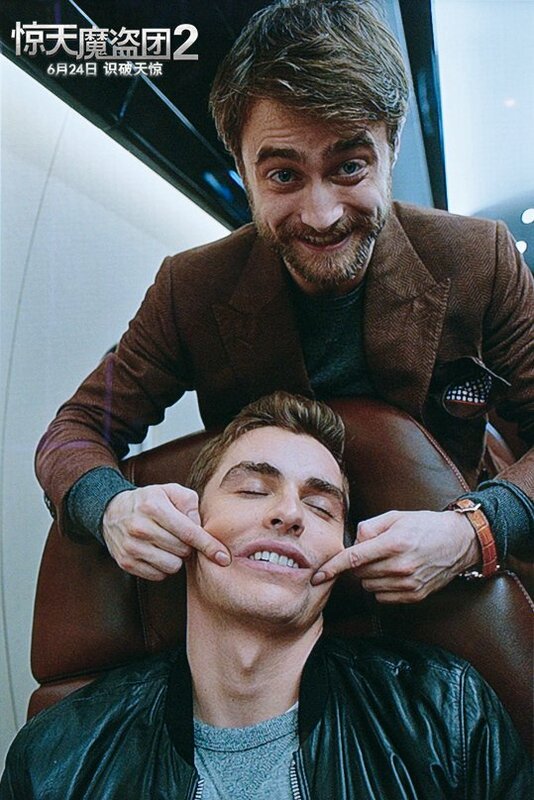 A group of stills have been released in promotion of Now You See Me 2 (惊天魔盗团2) in China. In this scene the Four Horsemen are under hypnosis as Walter Mabry is kidnapping them and he is taking awkward photo evidence to show to them later. Personally I have to say I loved this scene, very funny.